There are so many different fun projects to choose from at the Mudroom Studio! Come in any time during our studio hours to check out your options and get started on a fun, creative project! 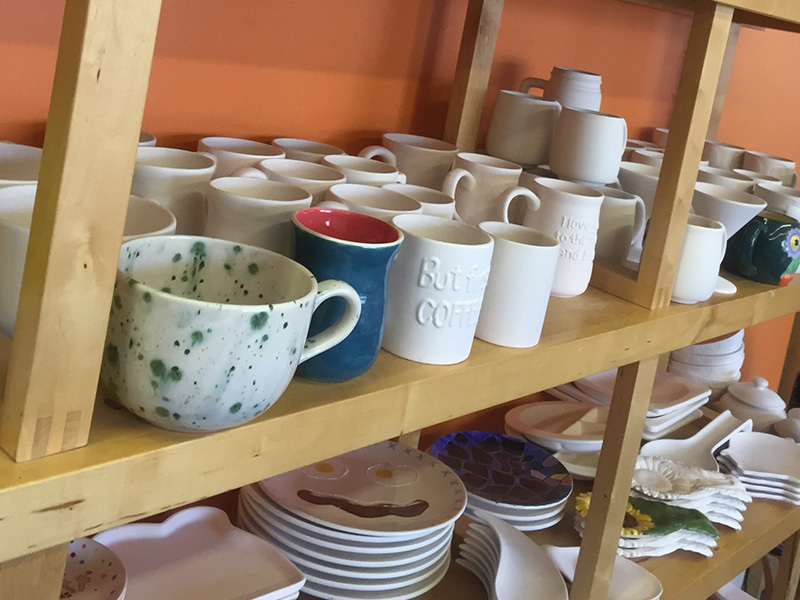 We have hundreds of options of pottery to choose from! 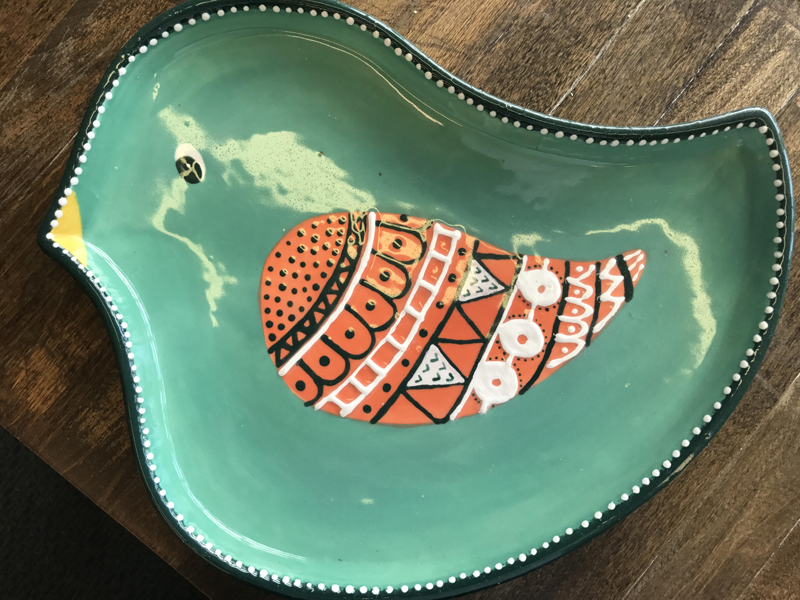 Our selection includes several different functional pieces like mugs and platters and fun kid pieces like princesses and comic book superheroes. Need a special gift for some of the big holiday events— stop in and check out our seasonal section that is ALWAYS changing! 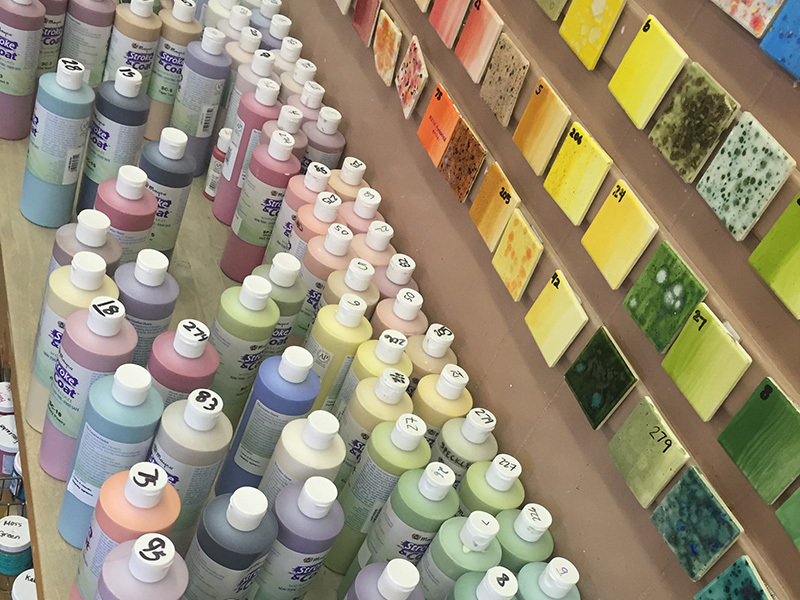 Pick as many colors as you want from our color wall to make your piece pop! We also have stencils, stamps, and an awesome staff that can help you throughout the entire process. If you’re looking for some ideas, we also have books that will help your creative juices flow. 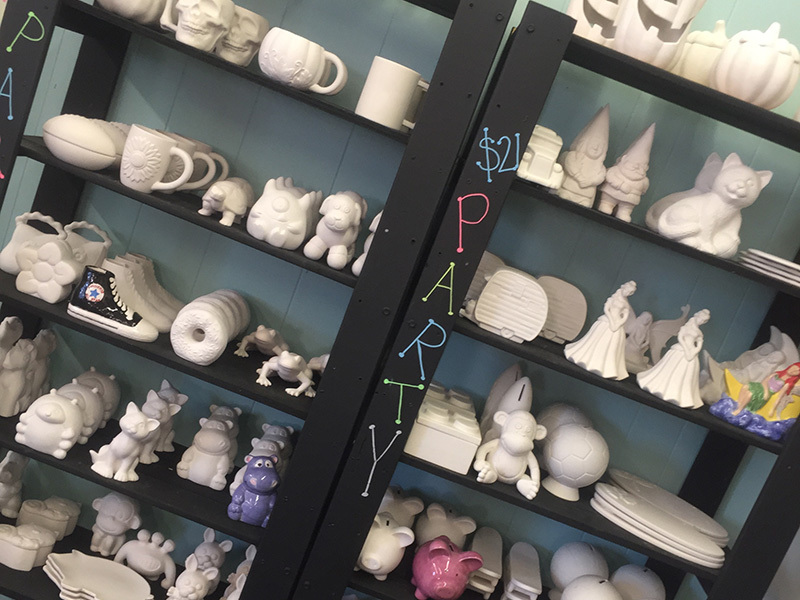 Leave your painted piece with us for firing. 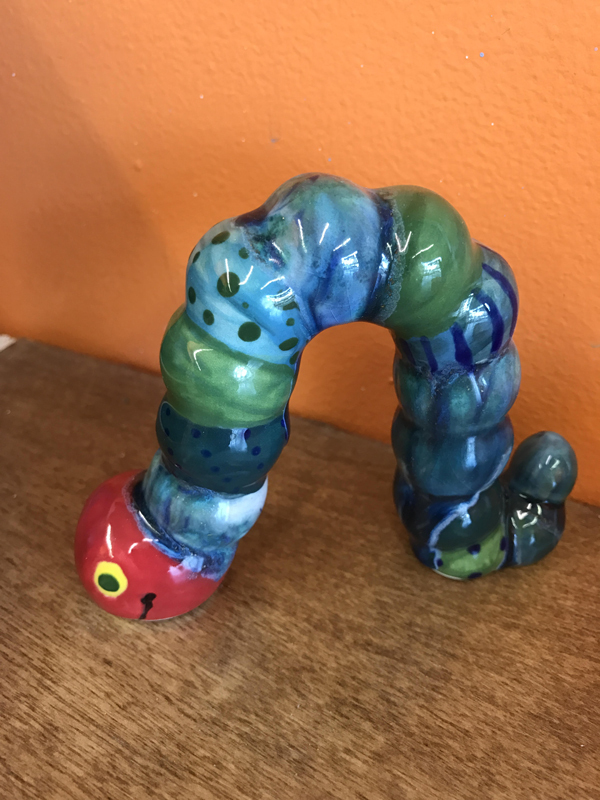 We will dip your painted piece in a clear glaze, fire it and it will be ready for display or use in no time! Your piece will be ready to be picked up within 5-7 days. We have both opaque and translucent forms to choose from. 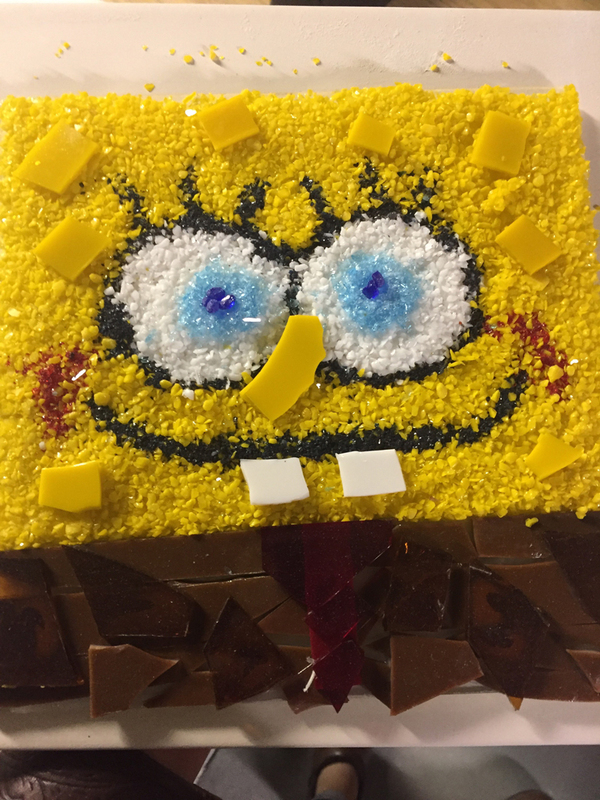 Learn to create a one of a kind piece using rods, chunks, frit and more. Create an abstract piece, landscape or concentric design. Glass provides the basis for a stunning piece of artwork. Warm glass fusing is fun and easy to do. Create sun-catchers, plant sticks, bowls, and more- there’s a project for everyone. Leave your glass piece with us for firing. If you chose to have your piece slumped into a functional form, we use a double firing technique. Your piece will be ready to be picked up within 7-14 days. Just pop in anytime the studio is open-come learn the ancient art of mosaic. 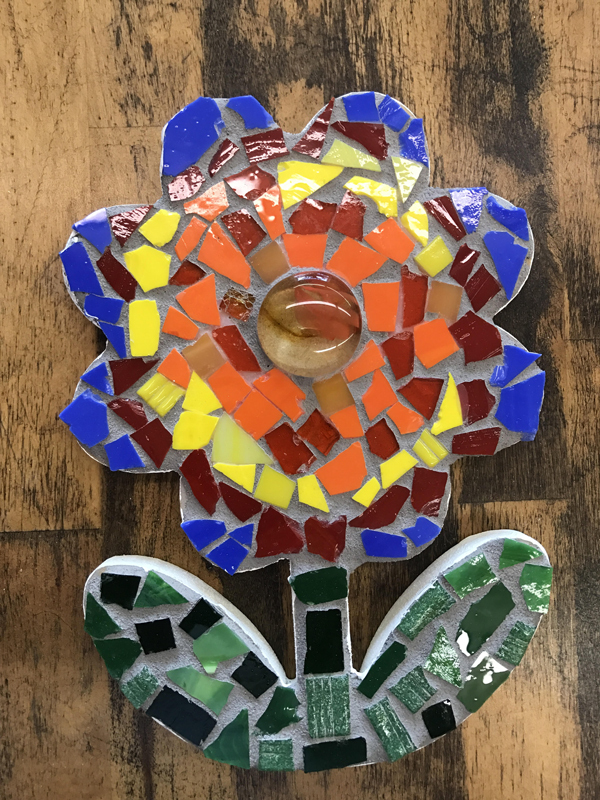 Create a unique piece using an assemblage of small pieces of colored glass, stone, or other material. We have picture frames, mirrors, plaques and more. We will grout your piece for you, and put the finishing touches on it. 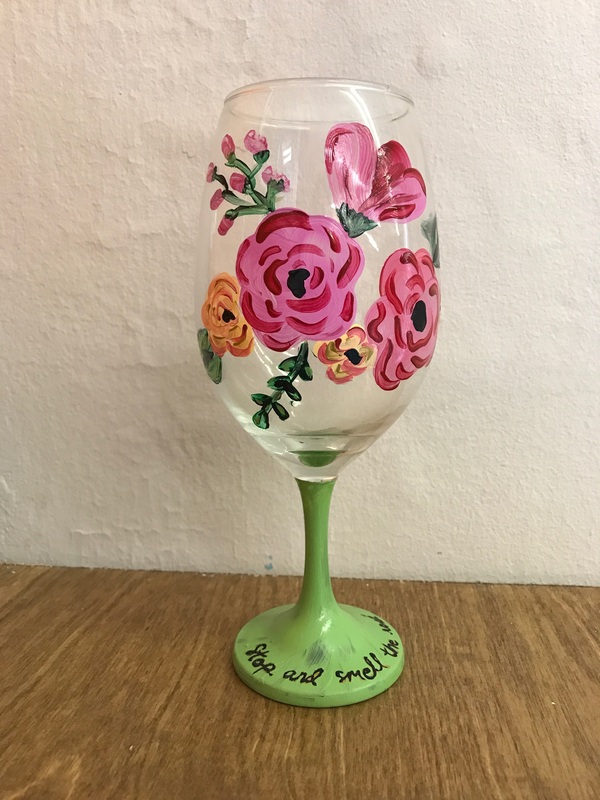 Choose from our glass selection to create a unique wine glass, stein or drinking glass. We have all the supplies to paint a one of a kind design. Stencils, letters or free hand paint your own design. Take your glass home the same day. Includes instructions on how to cure your glassware in your home oven. 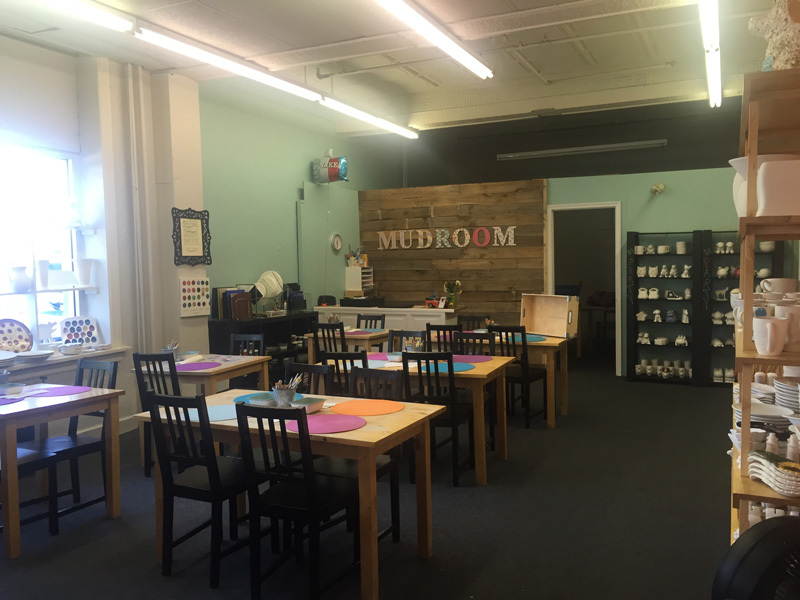 The Mudroom Studio can come to you! Or you can simple pop into the studio and grab your craft to go! We provide all the necessary supplies. Your group completes their project, we fire your pieces and they will be available for pick-up approximately 7 days after your event. We can work out a program that fits your budget, time frame and age group!